HIGHLIGHT VERSION - MOVIE CLIP(50 SEC) See the revealing results of putts made by other leading putters and the TopSpin putter. AS SEEN ON NY1 - MOVIE CLIP (1 MIN) - See the commercial that captures the innovation behind the TopSpin Putter. 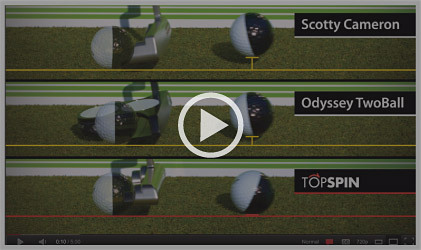 AS SEEN ON THE GOLF CHANNEL - MOVIE CLIP (3 MIN) See how the TopSpin can help improve your putting. 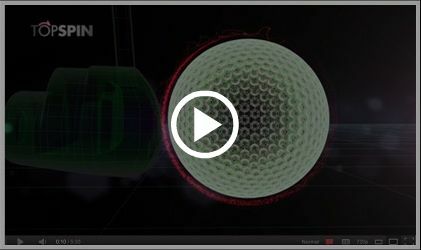 Watch the science behind the TopSpin Putter and the amazing test results between three leading putters.